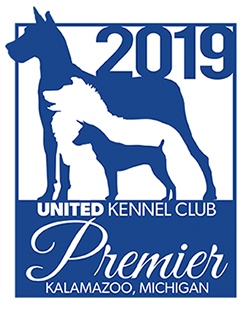 Those wishing to apply to become a UKC licensed conformation judge must first purchase the UKC Judges Application Kit which will include the Application, Conformation Judges Test, the UKC Judges Handbook, as well as the Most up-to-date UKC Breed Standards. You must submit a completed Conformation Judges Test to UKC with your application, required documentation and a letter of intent. Successful completion of the Conformation Judges Test (85%) - If failed, applicant must wait 12 months to retest. Applicants must wait three (3) years to reapply upon a second failure. Complete documentation of stewarding at a minimum of 12 UKC Conformation shows with 30+ entries. The assignments must have been within 2 years prior to the application submission date. One stewarding assignment must be completed at the UKC Premier event and one stewarding assignment must be completed at the UKC Gateway Nationals event. Have full mobility and able to physically perform all necessary duties of an officiant. Be in good standing with the United Kennel Club. *Title may be earned from any of the following registries (United Kennel Club, American Kennel Club, Canadian Kennel Club, The Kennel Club of England, or any FCI Registry). Applicants are regarded more favorably if they have been active in a local dog club and can provide evidence of involvement in their community's dog related activities. This includes but is not limited to rescue groups, community dog days/walks/runs, dog washes, and SPOT evaluations. Application packages are reviewed monthly. Upon approval, the applicant may advance to become an apprentice conformation judge. An apprentice judge must complete all apprenticeship requirements and be approved to advance to fully licensed regular status prior to accepting any regular judging assignments. Applications for regular status are reviewed monthly. Upon approval, the apprentice will move to regular status. Regular status judges may remain at this level for their entire career. Becoming a senior status judge is only for those interested in taking apprentices. All regular status judges will be automatically approved to judge Junior Showmanship classes. These requirements must be completed before you request the Senior Status. If you have met these requirements, you may submit an Application for Senior Status along with your letters of recommendation for approval. Requests for Senior Status are reviewed monthly. Upon approval, you will be notified of your Senior Status and may begin accepting apprentices. Apprenticeship is an ancient tradition and system of training a new generation of practitioners of a trade or skill. Learning by doing is an effective method for teaching new skills. The UKC believes strongly that our experienced judges have much to offer those who wish to become UKC judges. The apprenticeship program allows senior judges to impart their experience and expertise to future judges and fosters a sense of mentorship and collaboration among all UKC judges. Occasionally, it will require additional apprenticeships to meet the minimum number of dogs needed. You are only required to submit evaluations on 6 different senior judges. You may take additional apprenticeships under the same judge to meet the minimum numbers of dogs required. American Eskimos, Toy Fox Terriers and Belgian Shepherd Dogs will be counted for numbers of dogs within their respective groups, but will not be individually applied to a breed specific apprenticeship, regardless if the assignment was under a senior judge for the breed(s). Only regular status or senior status judges are eligible to apply for a breed specific apprenticeship. The apprentice process is under the full authority of the judge and the club may not prohibit a senior judge from taking an apprentice at its event. An apprentice judge must request an apprenticeship assignment in writing. The request must be made to a senior judge for UKC conformation. Email correspondence is recognized as official written documentation. It is recommended that requests for apprentice assignments be made at least 60 days in advance of the show date whenever possible. This allows for the senior judge as well as the host club to plan for additional time taken during judging at the event. Requests for apprenticeship made on the day of the event will not be approved. Apprentice judges may not request an assignment from a member of their immediate family, anyone who resides in the same household or who they co-own a dog with regardless if that person is a senior judge. Apprentice judges may not request an assignment from an employer, an employee or business partner regardless if that person is a senior judge. All UKC rules and codes of conduct that apply to fully licensed judges will apply equally to apprentice judges. An apprentice judge may not fulfill an apprenticeship assignment in any performance event on the same day(s) as they are serving as a conformation apprentice. Arrive at least one half hour before the start of the show. As an apprentice, you should not be verbally interacting with any exhibitors or engaging in conversation with any spectators while performing the duties of an apprentice. An all-breed conformation apprentice does not examine all the dogs being shown to the Senior Judge. The only dogs a conformation apprentice will examine will be the dogs that are presented in the group ring for judging. During the event, the Apprentice judge is to take notes making mental placements for each breed, writing them down along with any questions they wish to discuss with the Senior Judge when the assignment is over. Once the assignment is over the Senior judge will discuss the judging with the apprentice and discuss any differences and answer any questions the apprentice may have. Only the Senior Judge and NOT the conformation apprentice will go over or examine any dogs at the breed level (this means that the apprentice will not touch any class dogs, any champions or any grand champions). A conformation apprentice will not judge any altered classes, nor will they judge any non-licensed classes during their apprenticeship assignment. The conformation apprentice and the senior judge must never discuss a dogs virtues or faults while the judge is examining the dogs or in front of exhibitors in the ring. Discussions should be centered around ring procedures, gaiting patterns, how to mark judges books, and instructions for communicating with stewards. Discussions regarding placements will only be conducted after the assignment is over and it should be a private discussion between the apprentice and the senior judge. During the discussion after the event, it is important for Senior judges to understand that if the apprentice has different placements and choices in certain dogs during the discussion, the goal is to evaluate whether the apprentice can explain their choices using breed specific terminology, knowledge of the UKC breed standard and an understanding of the breeds history. The apprentice is entitled to have a different opinion using the appropriate resources to substantiate their choices. This is what the Senior judge is evaluating, not whether the apprentice matched their own choices that day. The location of the conformation apprentice may be in the ring with the Senior Judge or they must be close enough to the ringside, so they can observe the dogs in the ring and can see them move and see any other interactions that go on in the ring. Their positioning is determined by the Senior Judge. To observe the apprentices ring procedures, the senior judge will observe the apprentice judge examining each dog presented in the group ring. The senior judge should be standing close enough to visually examine the dogs being presented to the apprentice, but not so close as to hover or crowd the exhibitor and/or the dog. Both the senior judge and apprentice judge will watch the group dogs move. However, the Senior Judge will determine the placements. Apprentices do not have any deciding factors in placements and may not hand out awards or make any markings in the official judges book. After the assignment is complete, the conformation apprentice will complete an evaluation of the senior judge and the apprenticeship. Evaluations must be submitted directly to UKC no later than 10 business days after the date of the apprenticeship. Evaluation forms are available for download on the UKC website. Evaluations from either the conformation apprentice judge or the senior judge received more than 10 business days after an apprenticeship may not be considered as complete. The apprentice may be required to fulfill that assignment again. Applying to judge the Toy Fox Terrier (TFT). Those interested in becoming approved to judge the Toy Fox Terrier must first be a fully licensed UKC regular status conformation judge. Written Request for the TFT. Judges must submit a letter of intent to add a TFT license and a resume to the United Kennel Club which outlines their experience or expertise regarding the TFT. The judges qualifications will be reviewed by the UKC Judges Approval and Review Committee. Written test on the breed standard. Upon approval, qualified judges will be required to successfully complete a written test on the UKC Toy Fox Terrier breed standard. TFT license Approval. Judges who pass the written test (85% or higher) on the breed standard will be notified by UKC and will move to provisional status for the TFT. Toy Fox Terrier Provisional Judge Status. Upon approval from UKC a judge will move to provisional status for the TFT. Once notified of provisional status, judges may begin accepting assignments to judge the Toy Fox Terrier. All judges must serve as a provisional status TFT judge for a period of two (2) years. Within the provisional period judges must have judged Toy Fox Terriers at least four (4) times. Once the requirements for provisional status have been met, provisional judges will need to notify UKC. to be moved to regular status. This form is available for download on the UKC website. Regional Club recommendation. A letter of recommendation from a UKC American Eskimo club is required for those who wish to become an apprentice for the breed. Members of a regional American Eskimo club who wish to become an apprentice must submit a letter of recommendation from that club to NAEDA and the UKC. The letter of recommendation must be signed by three officers of the sponsoring club and sent to Show Operations at UKC. Copies of this letter must also be forwarded to the National American Eskimo Dog Association (NAEDA). Applicants who are not members of a regional American Eskimo club can seek recommendation from the nearest American Eskimo club or the NAEDA. Letters may be submitted electronically. A resume and letter of intent to add the AE license must accompany the letter of recommendation. National American Eskimo Dog Association Approval. Once an applicants recommendation and resume has been received and reviewed by the NAEDA, three Board of Directors must notify UKC that they have seen the recommendation. Written test on the breed standard. Qualified Applicants will be required to successfully complete a written test on the UKC American Eskimo breed standard. Applicants who pass the written test on the breed standard will be notified by UKC and sent three Apprentice Judge Evaluation Forms. Newly approved apprentices will be listed on the UKC website as an apprentice judge for the AE. Once the apprentice receives the three apprenticeship forms, he/she may begin to request apprenticeship assignments from Senior status judges who hold the AE license. Requesting an American Eskimo Apprentice judging assignment. An apprentice judge must request an apprenticeship assignment in writing. The request must be made to a senior judge for the breed. Email correspondence is recognized as official written documentation. It is recommended that requests for apprentice assignments be made to senior judges well in advance of the date of the show. This allows for the senior judge as well as the host club to plan for additional time taken during judging at the event. UKC recommends requests be made at least 60 days in advance of the show date whenever possible. Requests made on the day of the event will not be approved. Apprentice judges may not request an assignment from a member of their immediate family, anyone who resides in the same household or who they may co-own a dog with regardless if that person is a senior judge for the breed. Apprentice judges may not request an assignment from an employer, an employee or business partner regardless if that person is a senior judge for the breed. Completing American Eskimo Apprenticeships. Any American Eskimos evaluated during the apprenticeship to become a regular status conformation judge will not count toward completing the requirements for American Eskimo apprentices. Apprentice judges are limited to a total of two apprenticeship assignments for the same breed in a single weekend (whether this is completed on one day or the same weekend). AE apprentices may not serve as an apprentice for a performance event on the same day, but may serve as an apprentice for a different breed (i.e., Toy Fox Terrier or Belgian Shepherd Dog) on the same day (or the same weekend) provided there are not conflicts of time and the senior judge(s) hold the necessary licenses for each breed. Serve as an apprentice judge for the American Eskimo at a minimum of three separate UKC licensed conformation shows. Complete at least three apprenticeship assignments under three different UKC Senior status judges approved to judge the American Eskimo and receive favorable recommendations from all three. Evaluate a minimum of three (3) entries from licensed classes per assignment. Duties of an American Eskimo Apprentice Judge. Unlike your apprentice assignments to become a regular status judge, you will examine all the dogs exhibited in each licensed class. While the senior judge is making his/her placements, you should mentally place the dogs so that they can be discussed after judging has been completed. Apprentice judges are encouraged to judge non-licensed conformation classes when time permits while being observed by the senior judge. As an apprentice, you must not enter any discussions with exhibitors or spectators. Apprentices mentally evaluate and place the dog. Apprentices do not have any deciding factors in actual placements and may not hand out awards or make any markings in the official judges book. AE apprentices must provide the senior judge the evaluation form. The senior judge will be the one responsible for sending in the completed evaluation to UKC. Duties of an American Eskimo Senior Judge. A senior judge must respond promptly to requests from apprentice judges and not later than 10 business days. If a senior judge must deny an apprenticeship request; the reasons for denial must be provided to the apprentice. A copy of this correspondence must be sent to Show Operations at the UKC. Email correspondence is acceptable. If you accept the apprenticeship assignment you will need to notify the host club that you will be taking an apprentice as soon as you have accepted. Clubs do not have the authority to deny you bringing an apprentice to their event, however it is courteous to let them know so they can plan for it. Senior judges may not evaluate more than one apprentice judge at a single event. A senior judge must evaluate the apprentice judges knowledge of the American Eskimo and on the apprentices examination of the dogs. The discussions to review the apprentices placements may be done after each class or at the end of breed judging as time permits. When discussing placements, it should be kept in mind that the apprentices opinions and placements of the dogs presented during the assignment do not have to agree with the opinions or the placements of the senior judge. The goal of the discussion is for the apprentice to demonstrate breed specific knowledge along with familiarity and understanding of the breeds standard. Senior judges are required to submit evaluations of the apprentice judge to UKC within 10 business days of the event. Completed evaluations can be mailed or scanned and emailed to UKC. Please contact UKC for the most current mailing or email addresses. Failure to send the evaluation form in a timely manner will hinder the apprentices ability to complete their assignments. Failure to send in an evaluation form for an apprentice judge may result in disciplinary action from UKC. American Eskimo Provisional Judge Status. Upon approval from UKC an AE apprentice will move to provisional status. Once notified of provisional status, judges may begin accepting assignments to judge the American Eskimo. All judges must serve as a provisional status AE judge for a period of two (2) years. Within the provisional period judges must have judged American Eskimos at least four (4) times. Provisional AE judges may not take an apprentice for the AE. Once the requirements for provisional status have been met, provisional judges will need to notify UKC to be moved to regular or senior status. This form is available for download on the UKC website. American Eskimo Senior Status. The senior judge status offers UKC judges the opportunity to mentor new judges and give back to the sport. Senior status judges are the only approved judges to take apprentices. Regional Club Recommendation. A letter of recommendation from a UKC Belgian Shepherd Dog club is required for those who wish to become an apprentice for the breed. Members of a regional Belgian Shepherd Dog Club who wish to become an apprentice must submit a letter of recommendation from that club. Applicants who are not members of a regional Belgian Shepherd Dog club can seek recommendation from the nearest BSD club or the United Belgian Shepherd Dog Association (UBSDA). Applicants may also be sponsored by UKC at the request of the applicant. The letter of recommendation must be signed by an officer of the sponsoring club and sent to Show Operations at UKC. Copies of this letter must also be forwarded to the United Belgian Shepherd Dog Association (UBSDA). Letters may be submitted electronically. A resume outlining experience with the BSD and letter of intent to add the BSD license must accompany the letter of recommendation. Recommended Qualifications to apply for the Belgian Shepherd Dog (BSD) license. Once the applicants recommendation and resume, has been received, UKC will send an email notice to the UBSDA Officers regarding the receipt of the applicants sponsorship. USBDA will have up to 30 days to review the applicants credentials and submit any reason the applicant should be denied the BSD license to UKC. UKC will consider UBSDAs recommendation; however, the final decision regarding the applicants request for the BSD license will be that of UKC. Should UKC not receive any notice from UBSDA regarding the applicant, then UKC will continue forward with the licensing procedures. Written test on the UKC breed standard. All approved BSD applicants will be required to successfully complete a written test on the UKC Belgian Shepherd Dog breed standard, administered by UKC. Applicants who pass the BSD breed standard test (85% or higher) will be notified by UKC and be accepted into the apprenticeship program. Apprentices will be sent 4 evaluation forms to be provided to the senior BSD judge. Upon notification, the apprentice judge may begin schedule their apprenticeship assignments. Requesting a Belgian Shepherd Dog Apprentice judging assignment. An apprentice judge must request an apprenticeship assignment in writing. The request must be made to a senior judge for the breed. Email correspondence is recognized as official written documentation. Completing Belgian Shepherd Dog apprenticeships. Any Belgian Shepherd Dog evaluated during the apprenticeship to become a regular status conformation judge will not count toward completing the requirements for Belgian Shepherd Dog apprentices. Apprentice judges are limited to a total of two apprenticeship assignments for the same breed in a single weekend (whether this is completed on one day or the same weekend). BSD apprentices may not serve as an apprentice for a performance event on the same day, but may serve as an apprentice for a different breed (i.e. American Eskimo) on the same day (or the same weekend) provided there are not conflicts of time and the senior judge(s) hold the necessary licenses for each breed. Serve as an apprentice judge for the BSD using the customary judging procedure or assisted animated critique procedure at a minimum of four (4) different UKC licensed Conformation shows and received favorable recommendations from a minimum of three (3) separate senior judges. When the Customary Judging Procedure is used, there must be a minimum of three (3) licensed class entries per apprenticeship for the evaluation to be credited as an apprenticeship. When the Assisted Animated Critique Judging Procedure (AA/CP) is used, there must be a minimum of five (5) licensed class entries for the evaluation to be credited as an apprenticeship. It is highly recommended that an apprentice judge complete at least one assignment under a senior judge using the AA/CP. Scribing at a Regional or National BSD event may be used for one customary apprenticeship credit. A UKC BSD Breed Education Seminar where a verbal and hands on examination is offered for the BSD may be used for one AA/CP apprenticeship credit. (only one seminar apprenticeship credit is allowed for the breed and is only valid for three years after the seminar). The three additional apprenticeships must be obtained using the apprenticeship assignments at UKC licensed events. Duties of a Belgian Shepherd Dog Apprentice Judge. Unlike your apprentice assignments to become a regular status judge, you will examine all the dogs exhibited in each licensed class. While the senior judge is making his/her placements, you should mentally place the dogs so that they can be discussed after judging has been completed. Apprentice judges are encouraged to judge non-licensed conformation classes when time permits while being observed by the senior judge. BSD apprentices must provide the senior judge the evaluation form. The senior judge will be the one responsible for sending in the completed evaluation to UKC. Duties of a Belgian Shepherd Dog Senior Judge. A senior judge must respond promptly to requests from apprentice judges and not later than 10 business days. If a senior judge must deny an apprenticeship request; the reasons for denial must be provided to the apprentice. A copy of this correspondence must be sent to Show Operations at the UKC. Email correspondence is acceptable. Senior judges may not evaluate more than one apprentice judge at a single event. A senior judge must evaluate the apprentice judges knowledge of the Belgian Shepherd Dog and on the apprentices examination of the dogs. The discussions to review the apprentices placements may be done after each class or at the end of breed judging as time permits. Senior judges are required to submit evaluations of the apprentice judge to UKC within 10 business days of the event. Completed evaluations can be mailed or scanned and emailed to UKC. Please contact UKC for the most current mailing or email addresses. Failure to send the evaluation in, in a timely manner will hinder the apprentices ability to complete their assignments. Failure to send in an evaluation for an apprentice judge may result in disciplinary action from UKC. Serve as a provisional judge for a minimum of two years after licensing and judge the breed in at least four shows with a minimum entry of three (3) dogs entered in the licensed classes. A judge who successfully completes the provisional period must move to the regular status/ A request for Regular / Senior Status form is found on the UKC website. Belgian Shepherd Dog Senior Judge Status. In addition to fulfilling the Provisional requirements to become a regular judge, the following additional judging assignments must be completed to be eligible to apply for senior judge status for the BSD. Judge the breed in at least one licensed event (with entries of at least five (5) dogs) using the Assisted Animation Critique Procedure. Please keep in mind that your assignment using AA/CP must be documented. To do so, the club must list the BSD breed as being judged using the AA/CP form of judging. After the event, the club must submit a copy of the completed AA/CP form, all BSD entry forms and a copy of the BSD judges book to the editor of the Belgian Beacon (contact UBSDA for contact information). To receive credit towards the Senior BSD Status, the judge must submit a copy of their completed AA/CP forms to UKC. Belgian Shepherd Dog Senior Status. The senior judge status offers UKC judges the opportunity to mentor new judges and give back to the sport. Senior status judges are the only approved judges to take apprentices. Currently teach or have taught obedience classes or seminars. Member of an active obedience club, preferably a UKC club. Currently holds office in an obedience or training club or have done so in the past. Obedience titles that have been earned (including other venues, if applicable). Please provide a UKC number or if titles were earned in another venue a copy of the highest titled earned. Applications are reviewed monthly. Upon approval, the applicant will be sent a written test on the UKC obedience rules and procedures. Successful completion of the test with a minimum score of 85% is required to become a UKC apprentice judge for obedience. Once the test has been successfully completed the applicant will be approved to become a UKC apprentice obedience judge and be notified by UKC. Three Apprentice Judge Evaluation forms will be sent via regular mail or electronically (upon request). Apprentice obedience judges may begin to apply for apprenticeship assignments once the evaluations forms have been received. Obedience apprentices may be required to complete more than three apprenticeships at the discretion of UKC or if the total of number of dogs in each class was not met within three apprenticeship assignments. Currently teach or have taught rally obedience classes or seminars. Member of an active rally obedience club, preferably a UKC club. Currently holds office in a rally obedience or training club or have done so in the past. Attended rally obedience related seminars. Able to provide letters of recommendation from UKC rally obedience judges/clubs/active exhibitors. Applications are reviewed monthly. Upon approval, the applicant will be sent a written test on the UKC rally obedience rules and procedures. Successful completion of the test with a minimum score of 85% is required to become a UKC apprentice judge for rally obedience. Once the test has been successfully completed the applicant will be approved to become a UKC apprentice rally obedience judge and be notified by UKC. Three Apprentice Judge Evaluation forms will be sent via regular mail or electronically (upon request). Apprentice rally obedience judges may begin to apply for apprentice assignments once the evaluations forms have been received. Rally obedience apprentices may be required to complete more than three apprenticeships at the discretion of UKC or if the cumulative total of 100 dogs was not met within three apprenticeship assignments. Certifying Officials. A certifying official will oversee the hides. Certifying officials are the official in charge of the briefings. They monitor all elements of the Full Element Novice-Elite Trials and are required for all individual element trials except container trials. If a club is hosting an individual element trial, they will only need to hire a certifying official, and they will not be required to hire a hide official. Successful completion of a written exam (85% or higher) of the UKC Nosework rules and procedures. Hide Officials. Hide officials are the individuals overseeing an individual element of a Full Element Novice-Elite trial. These officials are also eligible to officiate for Pre-Trial classes, and all levels of container trials. A hide official is the individual responsible for scoring an element at a Full Element Novice-Elite trial. Hide officials must be able to recognize when a dog has identified the scent, recognize the alert behavior, and compare the demonstrated behavior to the behavior as provided on the score sheet for each dog. It is also the responsibility of the hide official to know when a fault shall be assessed in all instances. Trained and handled a dog to a UKC Agility Champion (UACH) title, or trained one dog to the UKC Agility II (UAGII) title and a different dog to the UKC Agility I (UAGI) title or higher. Served as an agility trial secretary or as a table steward for a UKC agility trial at least once. Currently teach or have taught agility classes or seminars. Member of an active agility club, preferably a UKC club. Currently holds office in an agility club or have done so in the past. Active participation in UKC agility events. Recommended by a UKC licensed agility club. Able to provide letters of recommendation from UKC agility judges/clubs/active exhibitors. Applications are reviewed monthly. Upon approval, the applicant will be sent a written test on the UKC agility rules and procedures. Successful completion of the test with a minimum score of 85% is required to become a UKC apprentice judge for agility. Once the test has been successfully completed the applicant will be approved to become a UKC apprentice agility judge and be notified by UKC. Three Apprentice Judge Evaluation forms will be sent. Apprentice agility judges may begin to apply for apprenticeship assignments once the evaluations forms have been received. Apprentice agility judges must complete three apprentice assignments at three different UKC licensed agility trials under three different judges. Apprentices must receive favorable recommendations from at least two of the three judges. Each trial must have a minimum of number of dogs in each class. Agility apprentices may be required to complete more than three apprenticeships at the discretion of UKC. Applications are reviewed monthly. Upon approval, the applicant will be sent a written test on the UKC drag racing rules and procedures. Successful completion of the test with a minimum score of 85% is required to become a UKC apprentice judge for drag racing. Once the test has been successfully completed the applicant will be approved to become a UKC apprentice drag racing judge and be notified by UKC. Three Apprentice Judge Evaluation forms will be sent via regular mail or electronically (upon request). Apprentice drag racing judges may begin to apply for assignments once the evaluations forms have been received. Apprentice drag racing judges must complete three (3) apprentice assignments at three (3) different UKC licensed drag racing events under three (3) different judges. The apprentice must apprentice judge all classes at each event. Apprentices must receive favorable recommendations from at least two (2) of the three judges. Drag racing apprentices may be required to complete more than three apprenticeships at the discretion of UKC. Applications are reviewed monthly. Upon approval, the applicant will be sent a written test on the UKC lure coursing rules and procedures. Successful completion of the test with a minimum score of 85% is required to become a UKC apprentice judge for lure coursing. Once the test has been successfully completed the applicant will be approved to become a UKC apprentice lure coursing judge and be notified by UKC. Three Apprentice Judge Evaluation forms will be sent via regular mail or electronically (upon request). Apprentice lure coursing judges may begin to apply for assignments once the evaluations forms have been received. Apprentice lure coursing judges must complete three (3) apprentice assignments at three (3) different UKC licensed lure coursing events under three (3) different judges. The apprentice must apprentice judge all classes at each event. Apprentices must receive favorable recommendations from at least two (2) of the three judges. Lure coursing apprentices may be required to complete more than three apprenticeships at the discretion of UKC. To apply to be a UKC licensed dock jumping judge you will need to complete the UKC Judges Application Form that is available for download on the UKC website. Send it along with a letter of recommendation from UAD, Splash Dogs or SRS. Please include a brief resume that summarizes your experience in the sport of dock jumping. This resume should include how long you have been active in the sport, number of titles earned along with your general involvement. Currently teach or have taught weight pull classes or seminars. Member of an active weight pull club, preferably a UKC club. Currently holds office in a weight pull or training club or have done so in the past. Attended weight pull related seminars. Able to provide letters of recommendation from UKC weight pull judges/active exhibitors. Weight pull training/judging seminars attended. Applications are reviewed monthly. Upon approval, the applicant will be sent a written test on the UKC weight pull rules and procedures. Successful completion of the test with a minimum score of 85% is required to become a UKC apprentice judge for weight pull. Once the test has been successfully completed the applicant will be approved to become a UKC apprentice weight pull judge and be notified by UKC. Three Apprentice Judge Evaluation forms will be sent via regular mail or electronically (upon request). Apprentice weight pull judges may begin to apply for assignments once the evaluations forms have been received. Weight pull apprentices may be required to complete more than three apprenticeships at the discretion of UKC.